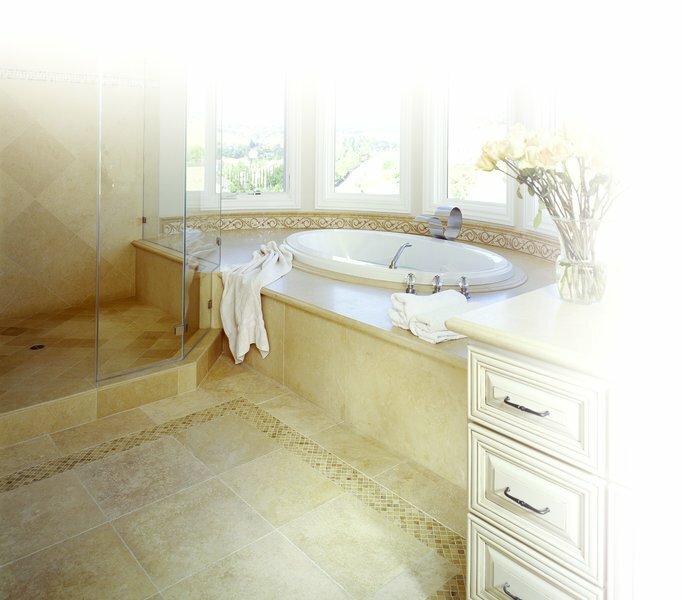 As a professional grout and tile cleaner in Tampa FL I have seen all types of grout and tile. Most people who have tile floors don’t know how to properly maintain them. Customers tell me all the time that they prefer tile because it’s easier to keep clean. I agree with them, but only if your maintaining it correctly. So I’m going to tell you how to clean grout the right way. There are several choices for grout and some are better than others. Most of the grout in Tampa FL is sand based grout, which means it’s porous and allows water to penetrate the top layer. Most over the counter tile cleaners don’t do a very good job of cleaning grout. They do a great job of removing surface soil and cleaning the tile face. Where they fail is in getting the soil that has moved into the grout. So I say ditch the over the counter cleaners and use this DIY grout cleaner instead. Mix all the above ingredients into a mop bucket and stir until the baking soda dissolves fully. Take a mop and coat the tile and grout floor with the solution. Then take the floor tile brush and scrub the all the tile and grout. You don’t have to go crazy just lightly brush the floor. Let the solution stand for about 10 minutes so it will work into the grout. Dump out any leftover solution and fill the bucket with warm/hot water. Now mop the floor again with the clean water. Change out the clean water after every 4 dunks. The cleaner the rinsing water is the cleaner the grout will be.